Observed at Eldoret, Kenya, Africa. July 2014. Length about 10 mm. Terraincognita96 provided the id. Bees and wasps are well known by man and beast to be armed with powerful stings. But it turns out that only the females are capable of delivering a sting. 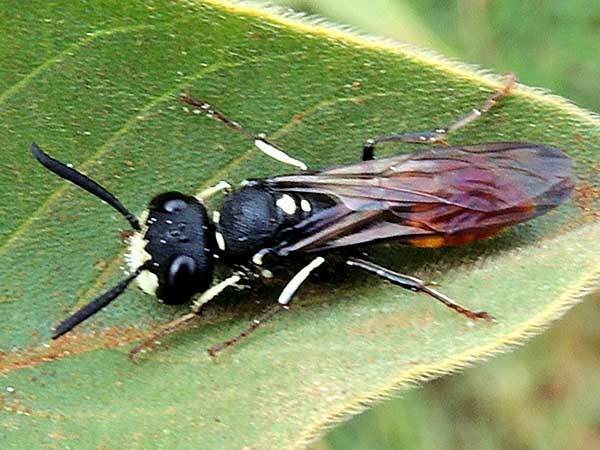 The males are quite harmless because the hymenopteran stinger is a modified egg-laying device. Birds tend to leave the males untouched because they have learned to leave them alone thanks to encounters with the stinging females and the males look like the females. Philanthus is a wasp that hunts real bees by first catching them and then delivering a paralyzing sting. The paralyzed bees are provisioned in underground tunnel-nests constructed by the bee wolf and are fed upon by the wasp larva!